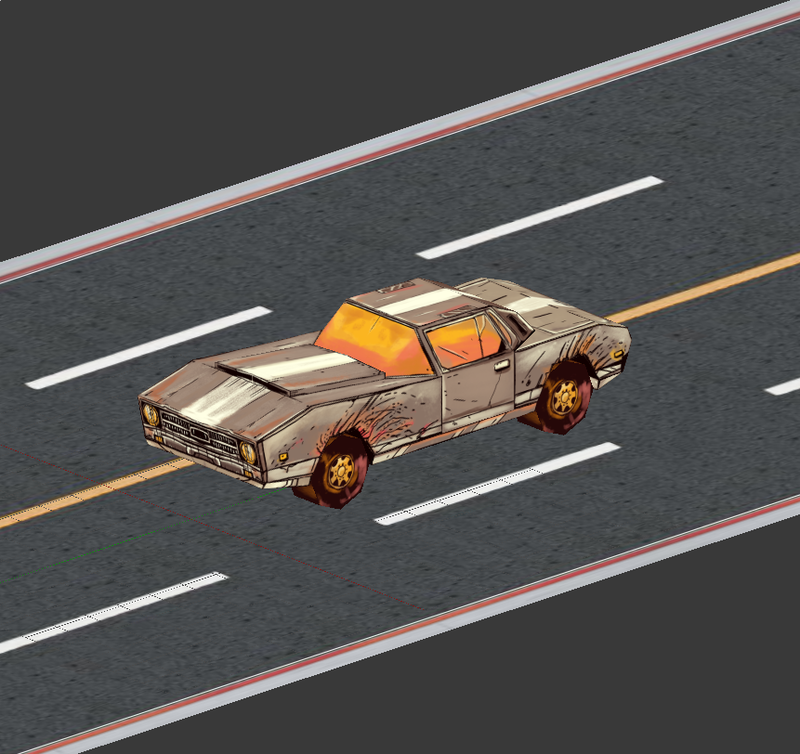 Low-poly 3D car model with a texture resembling a comic look. Available in Blender (source) and X3D format. - The Blender source file contains both a car and a trivial textured plane to show a road. - The X3D version was exported from Blender, and then had some manual editing to define a "wheels_turning" animation. The X3D file can be opened and animated in Castle Game Engine ( https://castle-engine.io/ , as shown in the manual: https://castle-engine.io/manual_scene.php ). In particular, you can quickly try it out by opening in our model viewer, view3dscene: https://castle-engine.io/view3dscene.php . 3D model and most textures are copyright by Paweł Wojciechowicz (Cat-astrophe Games). Includes also texture tunnel_road.jpg by crack.com (creators of "Golgotha" game, never released), on public domain.